Let's introduce myself. Koen de Backer, born in December 1985, you can make the calculation how old I am. My father always had racing pigeons, that's how I got in contact with the racing pigeon sport. In 2002 I started racing on myself. I was 16y old, and got more & more interested in the pigeons. In the beginning it was in tandem with my father and on the short distance. However, it's more interesting to race for yourself. You can do what you want, own vision, own ideas, thats why in 2003 I started racing on my own name, also short distance. In 2004 I became club champion, but after some setbacks in 2005 (by 2 best champion pigeons got lost in the same flight), I've made the switch to long distance and extreme long distance. The short distance was going down in our reagion, week after week less and less pigeons, that's no fun. In 2005 & 2006 I invested some more money for the long distance. 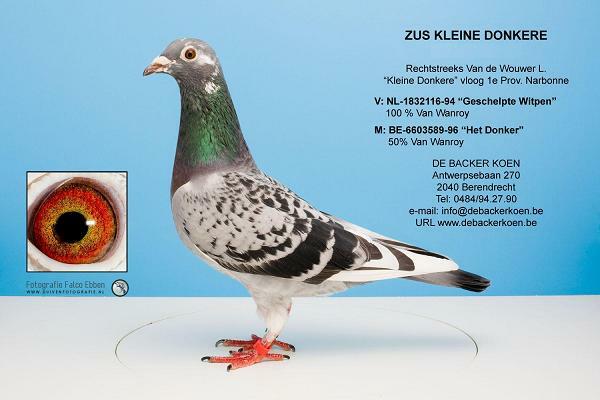 Most of the pigeons were Jimmy Brands pigeons (Berendrecht). He was national champioen long distance 2000. Those were the biggest part of my breeding loft, and I've added some Francois Struyf, Leo Kloots and Ludovic Van de Wouwer pigeons, all from Berendrecht or Zandvliet, the region where I lived. 2005 & 2006 were 2 years to search good breeding material, and start breeding from them. 2007 Had to be the year I started racing the long distance. I planned to race the classic yearling programme: Bourges, Chateauroux, Montlucon & Limoges. 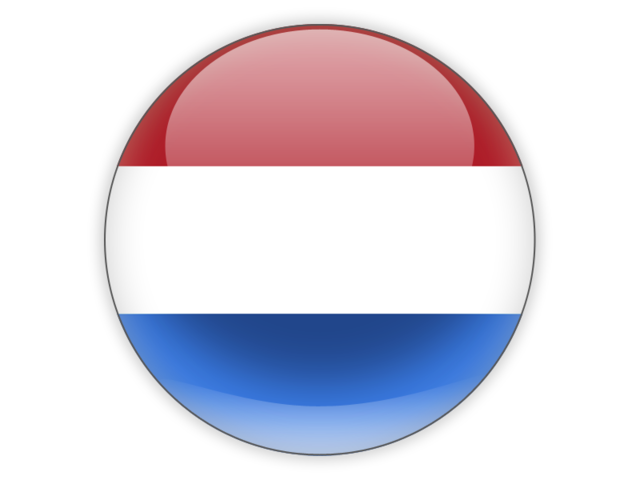 The H1N1 virus in Europe was creating big troubles, and Limoges (the big test) was cancelled. In 2008 racing got better. The H1N1 virus was no longer active, and we could give them a harder programme. It wasn't all good, but until Barcelona everything went ok. After Barcelona, condition got lost, and so did the results. 2009 was a difficult season. Good results weren't there, Bordeaux, which was a big test for my yearlings was not good. 4 prices out of 10, but not early enough, and some yearlings which I thought were promising... got lost. 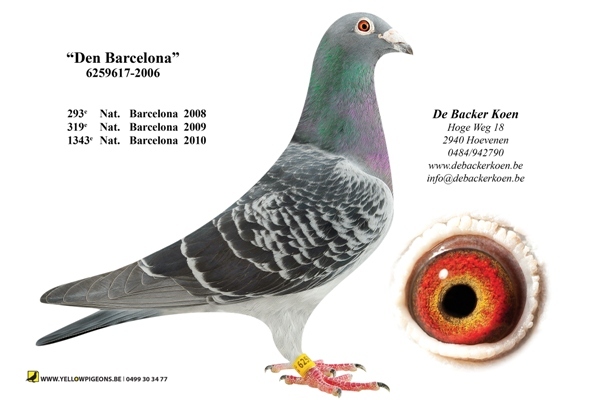 The positive thing in 2009 was that my Barcelona pigeon confirmed the 2008 result. 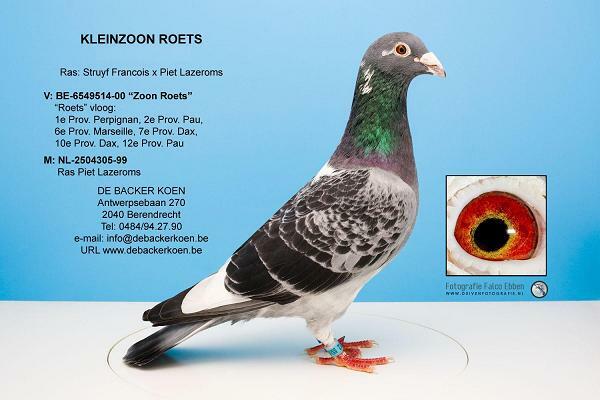 This year a 51th provincial from 1559 pigeons in Antwerp, and 2008 was 52/1372p. 2 different weather types, 2x 1:25... not bad I think! It was already in 2009 that I decided to make the first preparations for moving home in 2010. My girlfriend graduated in summer 2010, and we were looking for our own spot. In 2010 I was not going to breed youngsters for my own, and it was already in July 2009 that I made good selection in my breeders.